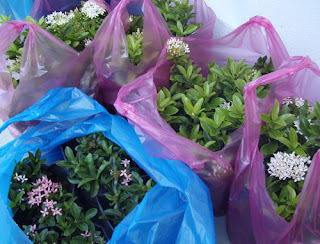 Today, Sunday 9th December, we did another flower shopping at Pasar Gadong. 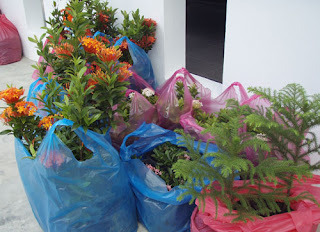 We managed to bought more Ciantan or in English 'Ixora' flowers and 2 more christmas tree like plants. 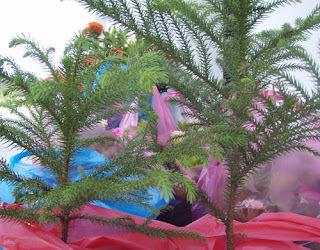 I also got best of seasons flowers at 1-800-FLOWERS, and also got a discount of 20% on their purchase.